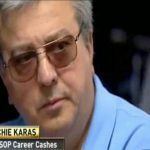 Archie Karas, one of the world’s most legendary gamblers and the man who rode the greatest hot streak of all time to $40 million, will no longer be allowed into casinos in the State of Nevada. The Nevada Gaming Commission voted unanimously to enter Karas’ name into its infamous Black Book, a list of those excluded from all Las Vegas casinos for the ongoing and grievous offenses against the casino industry. Karas, 63, whose real name is Anargyros Karabourniotis, has been found guilty of numerous infractions against casinos since he first came to the commission’s attention back in 1988, mostly relating to advantage play or downright cheating at the blackjack tables. 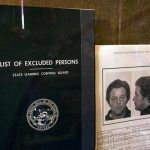 His name will now join the dishonorable ranks of a list that has included, at one time or another, the likes of vicious mobsters Tony “The Ant” Spilotro and Marshall Caifano. Karas was most recently arrested in 2013 after being spotted by surveillance cameras marking cards at a blackjack table at the Barona Casino in San Diego County. A search warrant executed on his house later revealed hollowed-out chips, which prosecutors said had been used to conceal ink. Karas won $8,000 at the Barona on July 16, 2013, and was ordered to pay $6,800 in restitution to the casino, which was determined to be his profit from the session in which the cards were being marked. Prior to his trial,he spent 73 days in jail before being released on bail. Karas’ winning streak, now simply known as “The Run,” kicked off sometime in early 1993, when he arrived in Las Vegas with $50 in his pocket. He immediately started running well at the poker tables and convinced a friend to lend him $10,000 so he could play higher stakes games. Soon he had $30,000, and returned $20,000 to his friend. The next stop was a local pool hall, where he began playing an unnamed “wealthy pool and poker player.” The two men played for two months before the unnamed player suggested they switch to poker when he found himself $1.2 million in the hole. Karas beat him on the felt for another $3 million. News spread of Karas’ newfound wealth and the professional poker community formed an orderly line. Yet he beat them all: Stu Ungar, Chip Reese, Doyle Brunson, all were dispatched. The only player to beat Karas during this period was Johnny Chan, but it hardly dented Karas’ burgeoning bankroll, which was now up to $17 million. 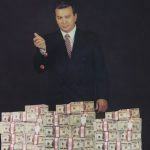 He took that to Binions Horseshoe, where he started playing craps for $100,000 a roll, and soon he was sitting on a pile of $40 million, cleaning the casino out of all of its highest denomination chips. But easy come, easy go. Karas lost most of the money, some $30 million of it, in roughly three weeks. Then he took a break, went to Greece, came back, and lost the rest. The Run has become the stuff of legend, and is documented in numerous books on gambling history and folklore. But the one book Karas would have preferred not to be included in belongs to the Nevada Gaming Commission, in which he now has his own page.